With the Auckland Transport Alignment Program scaling back the Mill Road upgrade from a 4-lane expressway to safety upgrades I sent a Local Government Official Information and Meetings Act request to AT on what was happening with the project. Thank you for your request on information related to Mill Road. Auckland Transport completed the designation for the Mill Road North project in early 2016. 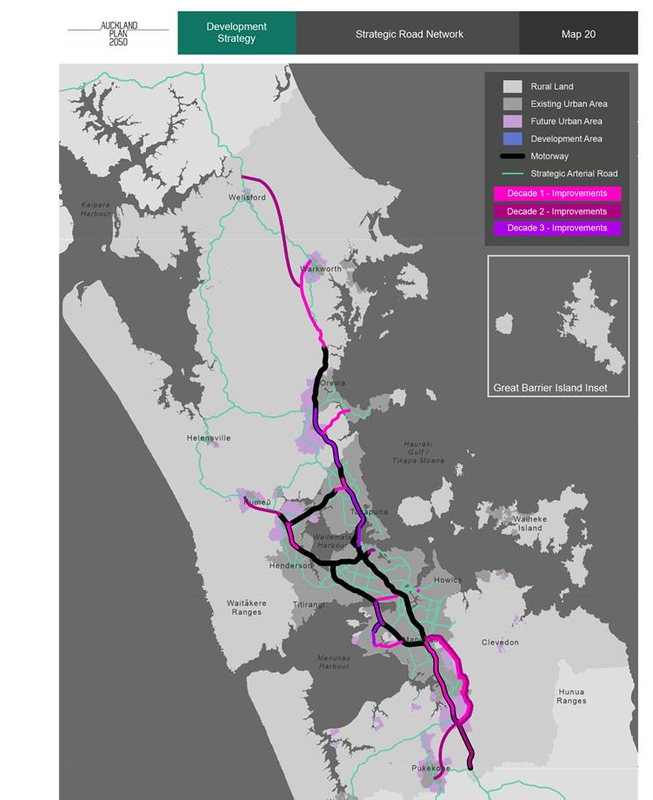 The 2017 version of the Auckland Transport Alignment Project recommended accelerated investment be included in the RLTP for the Mill Road corridor to complete the entire Corridor between Manukau and Drury (at the cost of approximate $1 billion) within the first decade. The detailed design and construction of Northern Corridor would have been the first stage of that with further work on the planning approvals for the central and southern sections progressed in parallel. The new Government has signalled a shift in transport investment priorities for Auckland through the new GPS on Transport. This is now reflected in the update of the ATAP report and recommendations. For this specific corridor ATAP 2018 recommended scaling back from completing the entire corridor at a cost of $1 billion in the first decade and instead target intersection and safety improvements along the corridor. Undertake route protection and land purchase of the southern section. Auckland Transport are currently undertaking a business case implementation plan for the complete corridor to identify a programme of works. 1) The Mill Road (northern section) project was slated to be a 4-lane road with new or upgraded roundabouts at Murphy’s Road and Alfriston Road intersections at a nominal cost of $1b. With ATAP and the RLTP only committing $500m to what is phase 1 what do we get now as project delivery for the Northern Section please through Decade 1? In business case and implementation plan is currently being developed for the northern section. Examples of works being examined include dynamic lanes and safety improvements particularly at intersections. 2) A new interchange or intersection was also slated as part of the ATAP at Drury South as part of the Mill Road works – what does this entail please and are there designs (even concept) of this yet? This intersection is being examined as part of the business case and implementation plan to identify safety upgrade required. Bit salty there from Auckland Transport but in any case a new Implementation Plan will be out next year and works starting soon after that. I see dynamic lanes (or 2+1’s like seen on the Panmure Bridge) are being considered which would alter the lane count depending on the traffic flow. But as said above the Plan will be finished 2019 and works done soon after. The southern section of Mill Road apart from the interchange is an unknown at this time. Official Information Act Requests on Airport to Botany (Southern Airport Line) Due Back. Light Rail Might Be A Go THUS We Now Debate Route Selection?